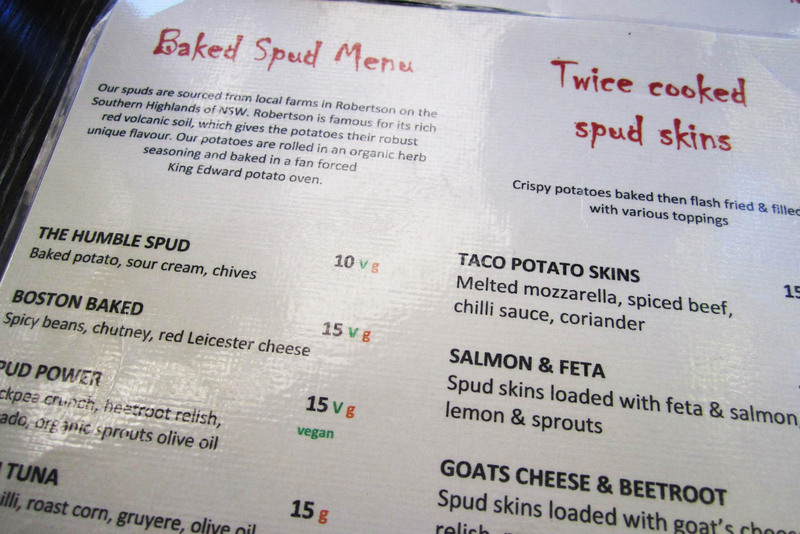 Mad Spuds Cafe is basically another cafe serving food for breakfast or lunch, except the menu is filled with potatoes! It’s definitely something very unique to Mr C and I to have nothing but pure potatoes for lunch! (I felt very Irish) What I personally loved most was the black pudding. It has a very distinctive, yet addictive taste to it and the crunchy skin potatoes went really well with it. My second favorite part of this dish was the poached eggs, it had melted cheese on top of it so it was eggy and cheesy to it which I loved with simply with my favorite ingredients! 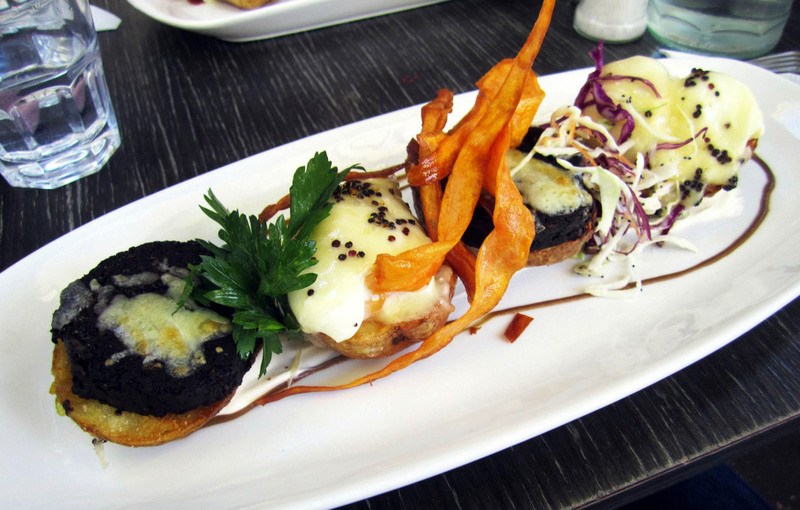 The photo above is Egg in a Spud – Poached eggs, gruyere, black pudding, apple relish, toasted quinoa. I was never a big fan of coleslaw either, however the ones at Mad Spuds were extremely yummy! Again, it’s probably a different dressing they used but it’s still delicious! This was my main dish. I’m warning you now that the potatoes are much larger in size than shown in the above photo. It was literally like a huge potato with melted cheese inside! It was so wonderful *drools* especially with that crispy burnt cheese. I know it’s unhealthy but you can’t neglect it! 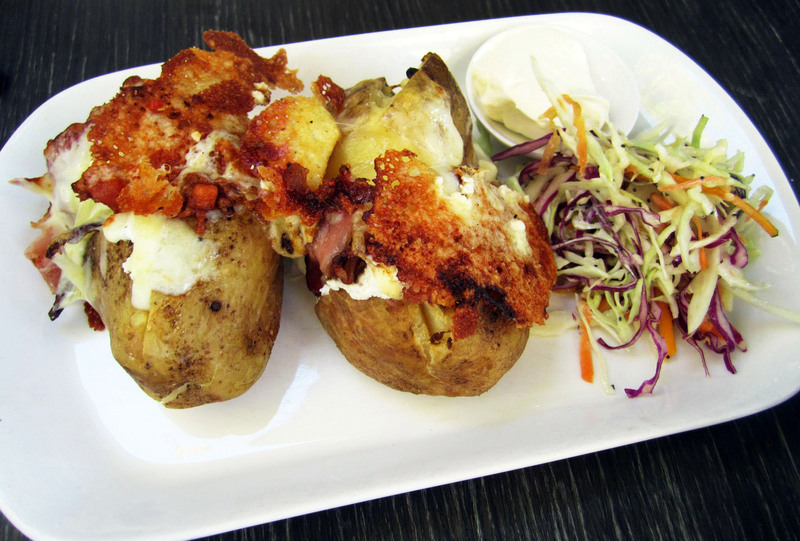 Seriously, look at that cheese oozing from the potato, it makes you want it so much! Originally I thought this wasn’t going to be enough to feed us both but I definitely underestimated the power of potatoes. 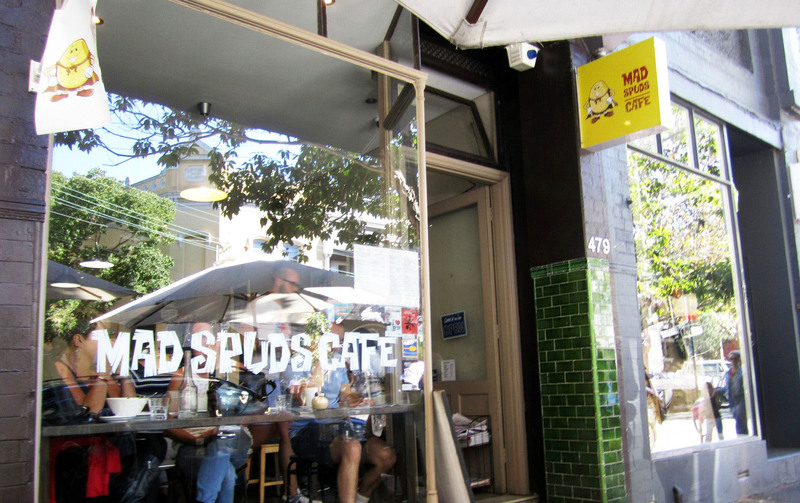 Mad Spuds is located on Crown Street very close to a bunch of a other restaurants and only about 5 minutes walk from places like Bourke Street Bakery and Gelato Messina. Great food and a fairly nice neighborhood so be sure to check them out if you ever feel like something different for breakfast!